On western side of Mumbai, there is a famous beach of Kelve. From this village Bhavangad fort is 3 km away. During Vasai campaign the Marathas built this fort to put a check on Portuguese. In 1526, Portuguese started building Vasai fort. To control the entire region they created chain of forts in Shirgao, Mahim and Kelve. They forced locals to change their religion. When the Peshwas got a hint of this, they started a campaign against Portuguese in 1737. Under the leadership of the great Chimaji Appa, warriors like Gangaji Naik, Shankaraji Phadke and Baji Rethekar fought against the Portuguese. The fort was built during the time of Vasai campaign, right in the middle of the monsoons. 2000 workers were used for the same. Bhavangad is built on small hill. Within 10 minutes we will enter through main entrance on Machi. Since the fort was to be built in less time, the walls were built by just setting the rocks and no cementing material like lime was used. We can see renovated temple of Bhavangadeshwar on fort. The western entrance of citadel is of Gomukhi style. The arch of this entrance is broken, but the bastion and the walls are intact. Limestone was used in construction of this entrance. Beside entrance, there are vestibules for guards. Inside there is a square water tank, around which the locals have built a protective wall. It is full of water. Citadel area is full of trees. Start from the fortification on the right of tank. Small path goes down from North-East of fortification. On left of path there are 2 caves. They were probably used to store grains. This path goes to Dandapada village. Just return from caves, and complete the fort visit. 1. Bhavangad is at the same distance from Kelve or Saphale on western Railway. From Saphale catch a bus or 6 seat rickshaw for Dativare and get down at Madhukarnagar stop. From here fort is 1.5 km away. 2. Catch a 6 seat rickshaw from Kelve station. The road to Bhavangad goes through Dhanda and Khatali villages. This distance is 3 km. We can see Kelve fort, Futaka Buruj, Customs fort and Danda fort during the journey towards Bhavangad. You can stay at Bhavangadeshwar Temple on the fort. However, trekkers prefer to visit the forts around in one day and seldom stay on this fort. Restaurants in Kelve and Saphale. 1. You can visit Bhavangad (15KM),Danda fort, Futaka Buruj, Custom Fort(15 KM), Kelve Sea Fort(15 KM), Kelve Fort(3 KM), Mahim Fort (5 KM) and Shirgao Fort, all these in a single day. But for this you must know timings for high and low tide. Cause Kelve sea fort can be visited only at time of low tide. So if you know these timings all mentioned places can be seen in single day. You can get rickshaw from Palghar or Kelve station, for full day. 2. If low tide is at morning then 1st visit Kelve sea fort. Then visit Danda fort and Bhavangad. After lunch go for Kelve fort, Mahim fort, Shirgao fort, and then go to Palghar. If low tide is at evening then get down at Palghar, take rickshaw and visit Shirgao (5 KM), Mahim fort, Mahakavati Temple (4 KM), Kelve fort, Bhavangad fort (3 KM). At the end come to Kelve village and at low tide visit Kelve sea fort and then go to Kelve station (8 KM). 3. 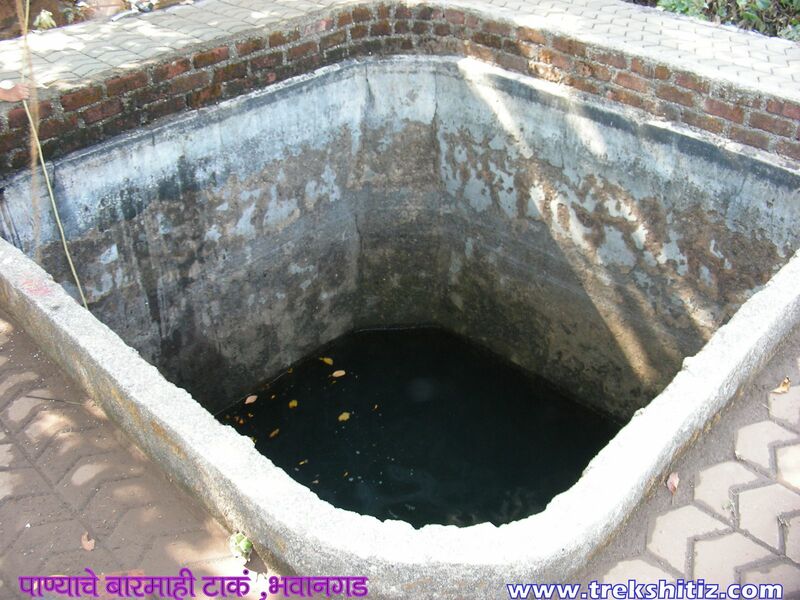 You can see the information about Danda, Kelve, Mahim, and Shirgao Fort on �trekshitiz.com�.